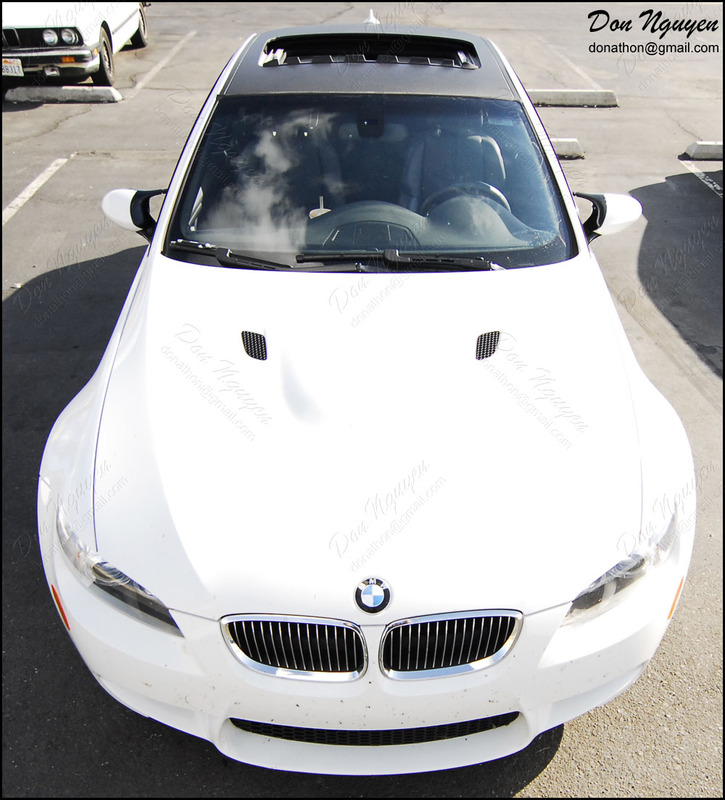 Since this white BMW E92 M3 coupe came with a sunroof, it did not have the factory carbon fiber roofs that are typically found on BMW M cars. In this case, the owner of this car had me vinyl wrap the roof of his car in the 3M Di-Noc matte carbon fiber finish to mimic the carbon fiber roofs that would have came factory on the M car, if it did not have the sunroof option. The owner of this car drove from Los Angeles area to me in Orange County to have the vinyl work done on his car.